Median age: (2000 census) 48.3 yrs. Area: (by zip code) 6.86 sq.mi. 28.8% water. --- heading 166o (south-southeast) from Augusta. 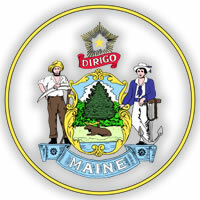 At the time of the 2000 census, the town of Boothbay Harbor had a population of 2,334 living in 1,097 households. The median age was 48.3 yrs.